Kathmandu, Oct 29: A team of 3 Chinese members have reached Bardiya to study about the tourism possibilities and to have exchange program of Nepali and Chinese tourists this Saturday. 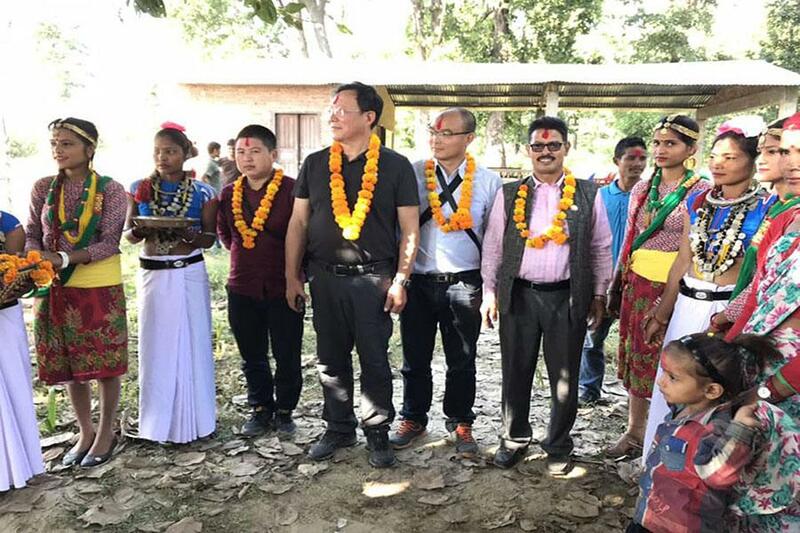 The team of Chinese tourist marched to Bardiya-2, in the leadership of Regional Chairman of Federation of Chinese Tourist Businessman, Lee Baohuha. They will be travelling to various destinations of Bardiya for jungle safari and rafting. The team has reached Bardiya after travelling to the birth place of Gautam Buddha, Lumbini. Bardiya is one of the ancient state rich of Tharu culture. This place can be a great destination for those people who are interested in gathering knowledge about the wildlife and forest. The team was welcomed by Madhuban Municipality, Geruwa Municipality, Badhaiyatal Municipality and Rajpur Municipality. The team has invited the leaders of Bardiya in the Tourism festival which is going to be organized in China.